Analysis by the Office for National Statistics (ONS) found survival for these cancers - newly-diagnosed in more than 100,000 people in the UK every year - have remained fairly static. But it's better news for other cancers, with lung, kidney and myeloma all showing much bigger improvements in five-year survival rates. ONS stats show breast cancer five-year survival was 83.6% for the years 2006-2010, rising slightly to 85.6% in the years 2009-2013, before dropping to 85% and then sticking at 85.3% in 2012-16. Macmillan Cancer support said it was "concerning to see that five-year survival rates for some of the most common cancers show little evidence of improvement in recent years". For kidney cancer, five-year survival showed relatively big improvements over the same time period, from 52.7% to 63.3%, while lung cancer rose from 10.4% to 15.3% and myeloma rose from 42.5% to 51.7%. People diagnosed with skin, prostate or breast cancer in the earliest stages have the same chance of being alive after a year as the general population. However, those who are diagnosed with stage 4 cancer - where the disease has spread to at least one other organ - are much more likely to have a bleak outlook. 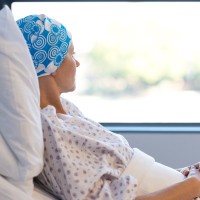 Sarah Caul, head of cancer analysis at the ONS, said: "In general, we have seen an increase in people's chances of survival across different types of cancer since our estimates for 2006-2010." She added: "This is the first time we have been able to look at this in more detail to examine how estimates for survival can change depending on what stage the disease is at when diagnosed. "This research shows a mixed picture but does stress the need for awareness and early diagnosis." If you're living with cancer and looking for medical travel cover that meets your needs, check out our dedicated cancer travel insurance options today.